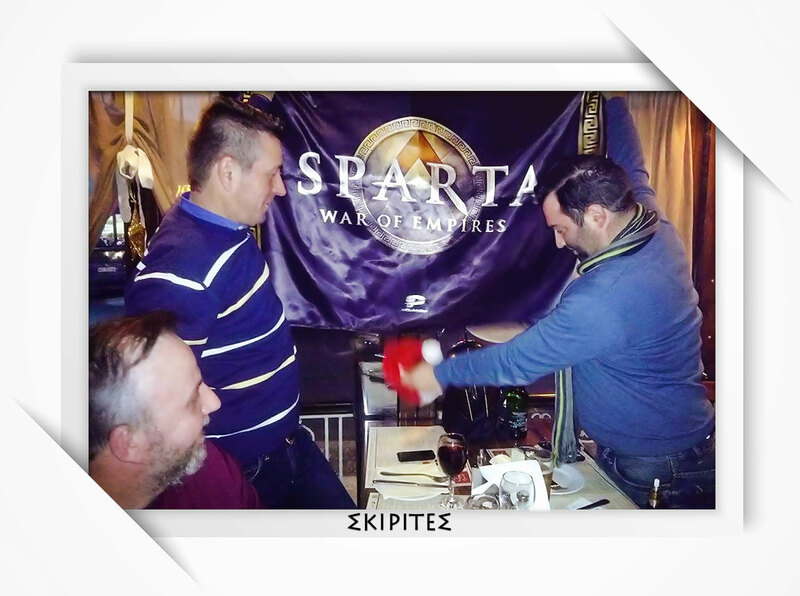 Sparta’s Skirites Coalition has already organized a number of player gatherings, but their latest one was special. This was because, in honor of their commitment to Coalition building, Plarium sent the Coalition a special commemorative flag! 1. How long has your Coalition been playing Sparta: War of Empires? A long time! 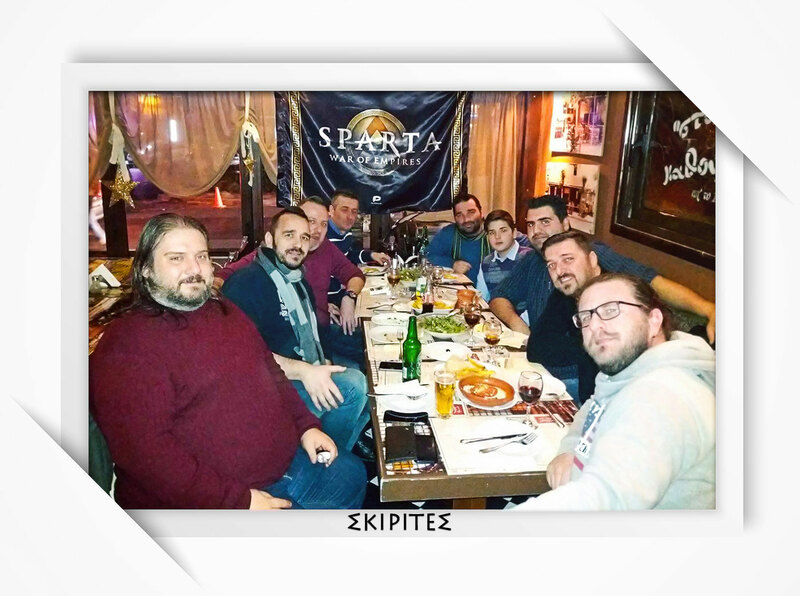 Many of us actually started playing Sparta as soon as Plarium released it. There are also some newer members in the Coalition, but we have worked out our own training program so that the newbies learn the ropes quickly and are ready for battle when the time comes. 2. How often do you organize gatherings? Tell us your story! 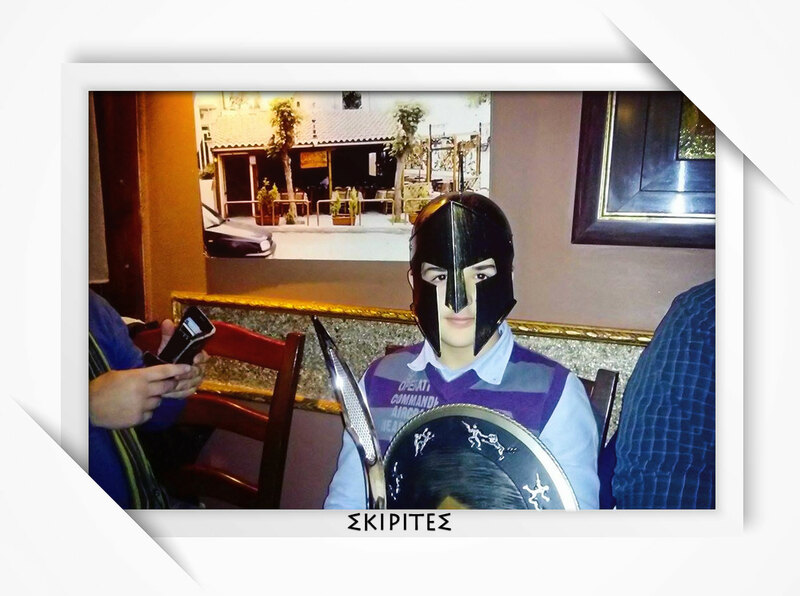 As we described in a previous article for Plarium, we’re currently running a project called "Skirites on Tour." As part of this, we are visiting a different city every 1 or 2 months. Most of the players in our Coalition are from Northern Greece, so we usually choose a city there in order to keep travel times down. 3. How many players take part in the gatherings? Usually there are around 10-12 people at the gatherings, although a few others will usually stop by just to shake hands and say hello. 4. Who usually organizes the gatherings? Is it particularly time consuming? Organizing a gathering is not a tough job: we even have a special Facebook page dedicated to team meetups. On this page, we announce a venue and a date, and then our members just say whether they can make it or not. Actually, the most difficult thing is choosing the correct restaurant for the gathering - it needs to be open late enough for us to eat, drink, and talk as long as we need to! 5. Do you like your new flag? Yeah! It’s super cool, and we’d like to thank Plarium for sending it to us - it’s given us a heap more prestige! We actually have a Coalition Flag too, so now we have 2 great flags hanging over us when we meet. 6. Will you organise more gatherings in the future? Of course! Members old and new really love the gatherings, and we are just like a big family. Everyone is always welcome to join us at our gatherings, no matter whether we are friends or enemies in the game. Real life is always a priority for us, and we will be always be there for any Sparta player who wants to talk, or who just needs a friend. 7. What advice would you give to other Coalitions looking to organize a gathering? Everything starts in the way you treat people, regardless of your rank in the Coalition: nobody is going to want to spend time with someone who only gives orders. You should always try to make close bonds with your Coalition members, but you should do this while remaining fair and stable. All you have to remember is that behind every PC is a person, and from our experience, the majority of these people are really great fun. There are so many amazing people out there - and once you meet them the first time, there will be no stopping you! 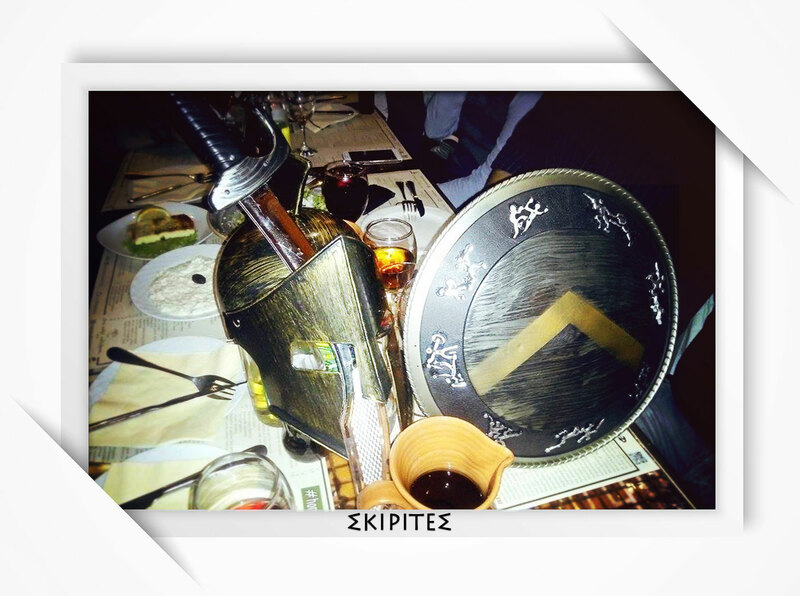 I’d like to say, on behalf of the Skirites family to all Sparta players: Happy New Year! Keep your creative spirit, enjoy perfect moments, be blessed with great health, and lead life with a big smile on your face!